Flight Centre is offering a promotion on flights from Montreal to Australia, New Zealand, Fiji, Tahiti, and the Cook Islands. When you combine this promo with the fact that Air Canada, and Qantas are currently offering some already historically low prices from Montreal to Australia, you can find some really excellent prices, especially considering the flights have just 1 stop, and it's within Canada (via Vancouver). There are no blackout dates. The promotion expires on August 31, 2016. 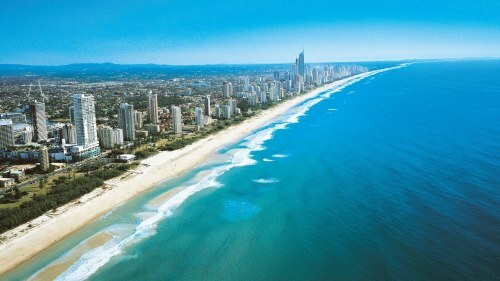 It's about a 60 to 90 min drive or train ride from Brisbane to the famous Gold Coast. Click on the departure date box to open up the calendar view and try other dates. Availability: Air Canada is currently showing 1-stop flights between Montreal and Brisbane for $1096 CAD roundtrip including taxes in late August, early September, the second half of October, and the first half of November 2016. They are also showing them in February, March, April, and May 2017. 2. When you've found a cheap date combination on Google Flights, you may want to try searching for the same dates on the Flight Centre website, to make sure they are showing the same price. 3. Next, call Flight Centre at 1-877-967-5302 to book the flight. They will subtract $100 from the price shown on their website. Calling in, or visiting a Flight Centre location is the only way to receive the discount. Availability: Air Canada is currently showing 1-stop flights between Montreal and Sydney for $1101 CAD roundtrip including taxes in late August, early September, October, and the first half of November 2016. They are also showing some in the second half of February, March, early April, and May 2017.
montreal, yul, flight deals, air canada, air new zealand, australasia, oceania, sydney, australia, syd, brisbane, bne, gold coast, qantas, south pacific, fiji airways and air tahiti nui.